Did you know that the number one reason for depression, burnout and lack of happiness and inner peace in our world today is people not owning their power? The secret to happiness and inner peace is so simple, yet most people can’t see it, and so they lead a life of quiet desperation and frustration, wondering how to attain the inner peace and live the fulfilling life they so deeply desire. No matter whether you are a rocket scientist or work at the grocery store, no matter whether you are a ripe 100 years of age or a young 10 years, no matter where in the world you live, what language you speak or what you believe in – every single one of the seven+ billion people living in our world today needs it: POWER! You know you are destined and called to live a beautiful, empowered life but you feel disempowered and you don’t really know what power is or where you are supposed to go to get it. You want to be in a super loving relationship and be a superstar at work but you are not owning your power, giving it away to your thoughts, your feelings, your fears, yes, to all the world and his wife! So you are being victimized by your own energies, having unfulfilled relationships and an unsuccessful career as a result. You just want deep inner peace, joy and happiness in a world that seems to have gone mad but fear is holding you back, the subliminal fear to fully step into your power and own it in service of unconditional love. If it does, then you are in the right place. You see, most of us have been programmed, since an early age, to give our power away. We give it away to outer energies, such as other people, the media, the weather and the news, and we give it away to inner energies, such as our negative ego/separative mind, lower self, inner child, emotions and fears. Pretty much everyone gives their power away – and it is really no one’s fault because we all, collectively as a human race speaking, deny our Divinity which is the Source of all power. So, as you will learn in this integrated and balanced coaching and training course, to step into your power means to step into your Divinity. You cannot separate the two from one another. 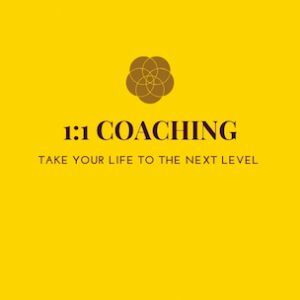 You can step out of the illusion of powerlessness and step into the truth of your power RIGHT NOW by following the simple but powerful strategies laid out in this new enlightening coaching course! So power enables us to act. It enables us to do things, to move things, to change our whole life! One of the most powerful prayers and invocations in the world is The Great Invocation. It ends with the words: Let light and love and power restore the Plan on Earth. So, power allows us to do nothing less than restoring the Divine Plan on Earth. The Divine Plan is for all of us to return Home, for all of us to return our minds and consciousness to oneness and unconditional love. Now, you may ask yourself: What does claiming and owning my personal power do for me? Why should I strive for empowerment? Claiming your power is the first lesson on the Spiritual path. Learn to own your personal power, and you will learn every other lesson in life. Don’t learn this first lesson, and you won’t learn any other lesson either because you need to enforce your will power to create change in your life. Everyone in the world experiences fear, and in order to transcend the illusionary, separative, fear-based mind, you need to enforce your will power! Said another way: If you don’t learn this lesson of claiming and owning your power, you will life in fear for the rest of your life. Life is way too precious to waste it on fear! You will never experience deep inner peace and happiness unless you learn to own your power. Yet isn’t that exactly what you want? Inner peace and happiness? All growth and success in life begins with you claiming your personal power! No power, no growth! It’s that simple! The very purpose of life is not just to go through life but to grow through life, so you can’t fulfill the purpose of your life – your dharma, your calling – if you don’t learn to step into your power. And so long as you deny your Soul’s calling, you will be unhappy and unfulfilled. True happiness comes from doing the work you are called to do. If you don’t learn to own your power, you will not be able to master your mind, your feelings and emotions, your physical body, or transcend any lower self desires, bad habits and addictions which you live out through your body. Said another way: If you don’t learn to claim your power, you will be a victim in life. If you DO learn to own it, you will be a master in life. Which would you rather be: a victim or a master? Run by your bodies or in charge of your bodies? We will never ever – not in a million trillion years – realize our Divinity unless we learn to claim our power. To deny our power is to deny our Divinity. Our power comes from our Divinity! So our very Self and God Realization depends on all of us claiming our power in service of unconditional love. So sooner or later, we all have to learn this lesson of claiming our power. We can postpone it, but we can’t escape it. It is our destiny. So why postpone the inevitable? Our job, as a species, is to advance humanity and create Heaven on Earth. Have you ever seen disempowered people advance, grow or create anything other than fear and separation? It takes empowered people to do that – empowered people like YOU! It’s about time that you reclaim your power and live the beautiful life your Creator envisioned you to live. We all have come into this world to co-create an enlightened humanity and enable the Divine Plan of the universe to unfold. If you don’t play your part, then the whole Divine Plan cannot unfold. This is how important you are! This is how important a part you play in the bigger scheme of the universe. So it is not only crucial that you learn to step into your power for your own well-being, self-mastery, happiness and inner peace, but it is also your duty to fully step into your power and Divinity to allow the Divine Purpose of the universe to unfold. You have a mighty dharma to fulfill. However, you cannot fulfill your Divine calling if you don’t own your power. To deny your power means to deny your Divinity! Now that you can see the necessity and value of learning to fully step into your power, let me help you learn this lesson so you may become the most empowered person you know! 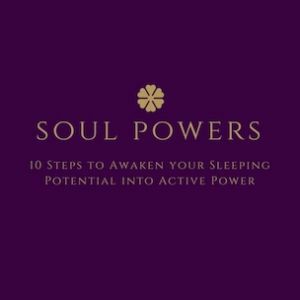 In short, you will learn everything you need to dramatically improve your level of personal power and empowerment so you may become the most empowered person you know! 9 hours of video: This coaching course consists of about 45 videos, each video running about 10 to 15 minutes. So the videos are short enough for you to pack them into your daily schedule. An overwhelming sense of inner peace and joy that empowers you from the inside out. Boundless energy that pushes you on to break through any and all barriers and limitations. An unshakable connection to The Source of All Power that yields your personal power. Rocket-ship-like Spiritual growth as all growth begins with you claiming your personal power. A strong sense of fulfillment that comes from your new-found ability to enforce your personal power in your business, career, relationships and life.